Whole spices are spices in natural form. Some of the major spices which are in good demand in whole form are Turmreric, Chilly, and Coriander etc. The whole spices which we supply are cleaned and graded manually or using latest machineries depending upon the product and the quality required by the buyer. They are further packed in clean and strong export worthy bags. Our range encompasses Chilly Whole, Turmeric Finger/Turmeric Whole, Coriander Seeds, Cumin Seeds, Fennel Seed, Black Pepper Whole and many other Whole Spices. 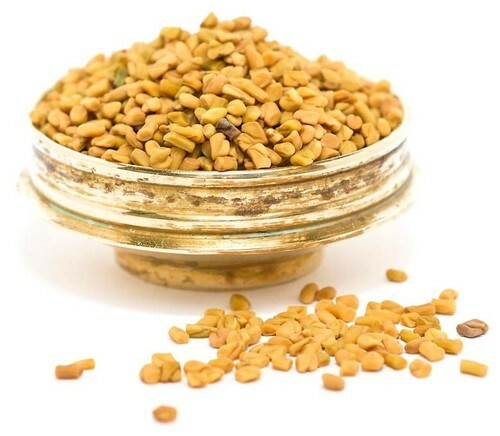 Fenugreek is small stony seed from the pod of a bean-like plant. These seeds are hard, yellowish brown and angular. Some are oblong, some rhombic, other virtually cubic. They are available whole and dried, or as a dull yellow powder ground from the roasted seeds as dry roasting enhance the flavor and reduces the bitterness. Fenugreek is an ancient spice and is mostly used in Middle East, Northern- Eastern Africa and India, especially for pickles. In India, its fresh leaves are eaten as a tasty vegetable, which is prepared like spinach. Fenugreek is exported in whole & powder form . The major producing sates of Fenugreek Seed in India are Rajasthan, Madhya Pradesh, Gujarat, Uttar Pradesh & TamilNadu .The harvesting season for Fenugreek Seed is from February to April. Standard Packing :- 50 Kg/25 Kg In New Singe PP . Fennel, which grows well in mild climates, is an oval, green or yellowish brown dried aromatic ripe fruit of an herbaceous plant called Foeniculum Vulgare, a member of Parsley family. Obtained from an aromatic and medicinal plant, the seeds emit a pleasant odor, are highly aromatic and have a pungent flavor. Fennel is widely used Asian, European, Italian and Mediterranean dishes. In India fennel is widely used in meat and seafood dishes and also with pickles and vinegar for a special flavor. 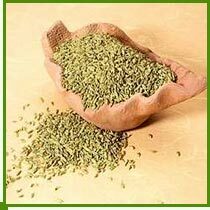 Fennel Seed in raw or in roasted form is widely used in India as a mouth freshener especially after suppers. The major producing states of fennel deeds in India are Gujarat, Rajasthan and Uttar Pradesh . The harvesting season for fennel is from December to March. Standard Packing :- 50 Kg/25 Kg In New Singe PP or Jute Bags. Black Pepper is a native to India and has forever been deemed as KING OF SPICES in India. IT is one of the oldest, popular and widely used amongst all the spices in the world. Black Pepper is the dried mature fruits of the tropical perennial climbing plant Piper nigrum L. which is a woody climber grown in the South Western Regions of India comprising of states like Kerala ,parts of Tamil Nadu, Kerala & Goa. 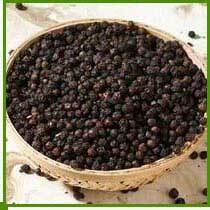 Black pepper with its characteristic pungency and flavor is one such spice that can be virtually utilized in every cooking and culinary medium of preparation including seasoning and garnishing. Standard Packing :- 50 Kg In New Singe Jute Bags . 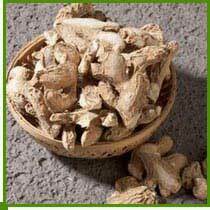 Whole raw roots are generally referred to as fresh ginger. A piece of the rhizome, called a hand has a pale yellow interior and a skin varying in color from brown to off-white. Whole fresh roots provide the freshest taste. The roots are collected and shipped when they are still immature and the outer skin is a light green color. Dried roots are sold either black with the root skin left on it, or white with the skin peeled off. The dried root is available whole or sliced. Ginger is grown all over India but still the finest quality is grown in Kerala due to its favorable climate and soil conditions .Some of the internationally famous qualities of Ginger are NUGC (Ungarbled Non Bleached Cochin) & NUGK (Ungarbled NonBleached Calicut).Ginger can be supplied in various other combinations of Garbled/Ungarbled as well as Bleached/Unbleached.